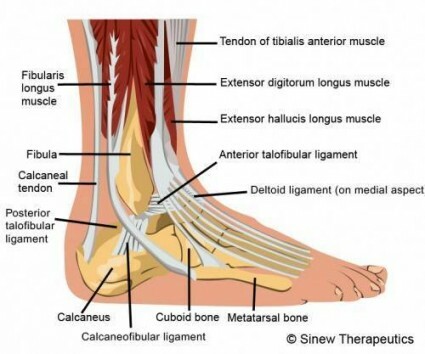 Ankle injuries are common and generally will heal in time with very simple measures. Most injuries are inversion injuries where you roll your ankle towards the outside of your foot. These are common in BJJ and can and do happen commonly. Usually, if you can walk it’s a good sign (even if it’s a brave hobble out the door!!) but is not perfect at picking out those ankles that are fractured. An ankle that’s feels really unstable is a bad sign, as is one with severe pain that is not settling. Swelling, bruising and moderate pain are sadly normal. 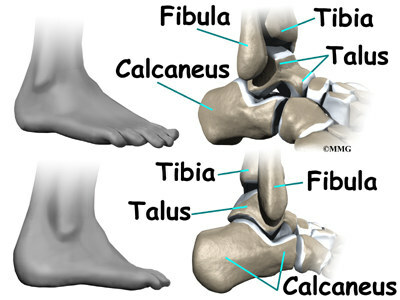 The most commonly injured ligaments are the posterior and anterior talo-fibular and calcaneo-fibular ligaments. These ligaments are the tough fibrous tissues that hold bones in the correct anatomical position. Sprains are graded and either a grade 1,2 or 3. Grade 1 and 2, especially for athletes, should be seen by a physio or a good GP or sports doctor. Although this does not change how long it will take to heal, it’s important to rule out further injury and make sure the treatment plan is sports specific. In the immediate time frame, motion, ice, compression and elevate are important. Gentle motion is just initially flexing and extending the foot. How ice and cold on injuries is poorly understood and the evidence suggests it likely make little difference, but is better than heat. It is suggested that compression for athletes should be lace up ankle brace supports but there is no hard evidence on, what to use, how long to use it or how tight to make it. Regardless, early return to functional activity is the goal. Early motion and accelerated rehabilitation is the goal to a more rapid return to sport. It is really important to strengthen the lateral ligaments to avoid further injury. I have done this over the years by using a mini-tramp or normal trampoline. I started just rolling from my toes to my heels supporting myself with my good foot. Eventually, I increased my strength to bouncing on my injured ankle. It took a few months but I have rarely had an ankle injury since. Usually, surgery can be avoided but care should be taken to be followed up by a skilled physio or doctor. 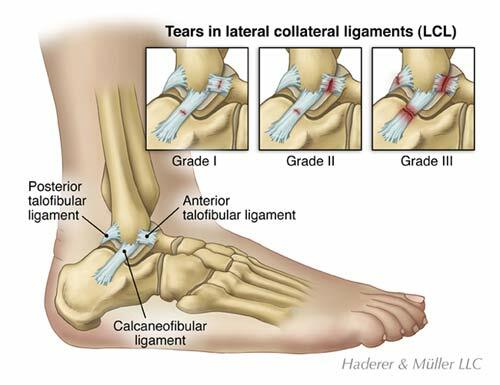 Different functional treatment strategies for acute lateral ankle ligament injuries in adults. Kerkhoffs GM, Struijs PA, Marti RK, Assendelft WJ, Blankevoort L, van Dijk CN Cochrane Database Syst Rev. 2002; (3):CD002938.